The family of Dr Jeff Bradstreet, known for controversial research claiming a link between autism and vaccines, is raising money to investigate his death. 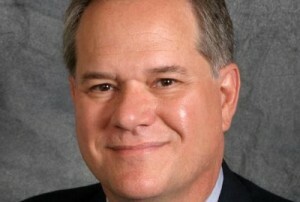 Dr Bradstreet, 61, was found dead in what has been widely reported as an apparent suicide. The family, however, want to look deeper at the circumstances surrounding his death. They do not believe it was suicide and are raising funds online. Dr Bradstreet ran the Bradstreet Wellness Centre clinic in Buford, Georgia. He was known for publishing controversial research on vaccines and autism. His son is reported to have had autism and it was Dr Bradstreet’s view that a vaccine reaction tipped him into the condition. Many in the autism community are mourning his loss, having viewed the doctor as a tireless advocate for biomedical intervention to treat autism. He lobbied US senators and government agency leaders about the need to treat autism while relaying his concerns about vaccines. The circumstances leading to his death have helped to raise suspicions about it. His office was the subject of a ‘raid’ by agents of the US Food and Drug Administration on 16 June. His body was recovered on 19 June. US authorities reported that he was found by a fisherman in Rocky Broad River in Chimney Rock, North Carolina. He appeared to have died from a gunshot wound to the chest and a handgun was found in the water. A GoFundMe page has been set up to raise money to “find the answers to the many questions leading up to the death of Dr Bradstreet, including an exhaustive investigation into the possibility of foul play”.